Are you looking to learn how to make nutritious soups? Here are 50 healthy recipes that are absolutely delicious! 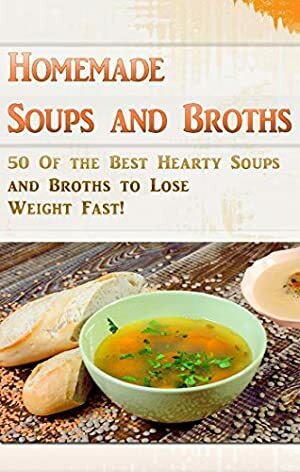 Homemade soups and broths are great for the weight loss or maintenance because they are satisfying and nourishing for the body. I am confident you and your family will enjoy these scrumptious creations time and time again. My favorite is the Aromatic Vegetarian Chili! Log In to track Kevin L. Kerr on eReaderIQ. to be notified each time the price drops on any book by Kevin L. Kerr. to stop tracking Kevin L. Kerr. We started tracking this book on October 24, 2014. The price of this book has changed 54 times in the past 1,644 days. The current price of this book is $4.49 last checked one day ago. This book has been FREE 12 times since we started tracking it. The highest price to date was $4.99 last reached on November 23, 2014. We last verified the price of this book about one day ago. At that time, the price was $4.49. This price is subject to change. The price displayed on the Amazon.com website at the time of purchase is the price you will pay for this book. Please confirm the price before making any purchases.